The civil engineering division of Cochin University of science and technology (CUSAT) is organising the fourth national conference on Recent Advances in Civil engineering on September 16. 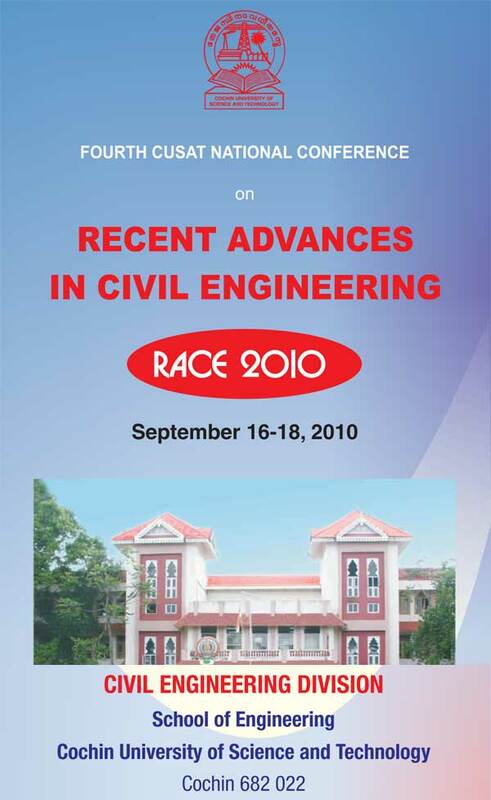 The event titles RACE 2010 will be a two day event which is proposed to have several parallel sessions with invited keynote and lead papers by eminent academicians and experts from various fields. The registration fee for conference delegates and students will be Rs.2500 and Rs. 1500 respectively.